3D work is ready for collection for the Mac gallery exhibition being held in January 2014 and Moira has two framed felts in the LAS winter exhibition at the Ropewalk, Barton on Humber until 5th January 2014. 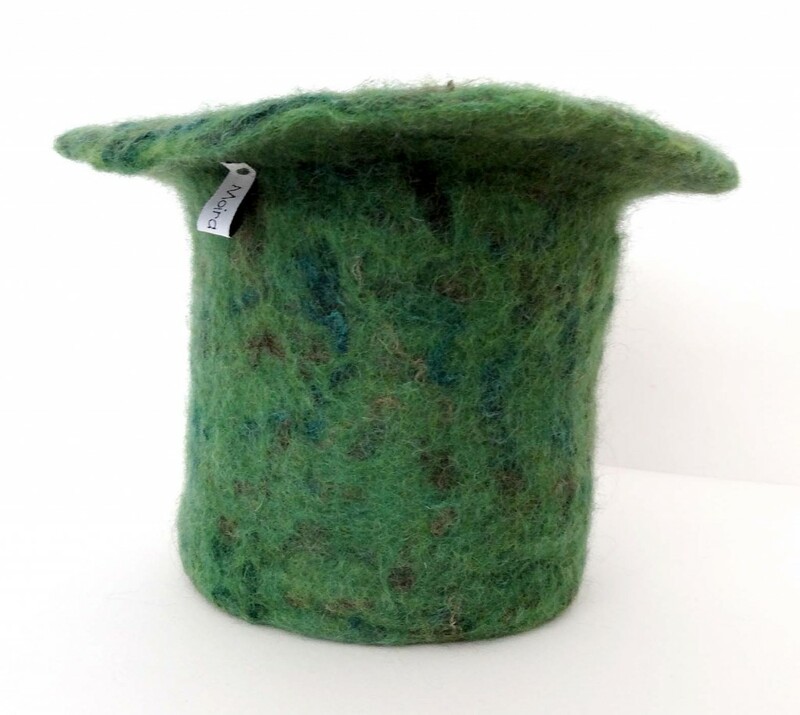 Her entry for the International Felt Association exhibition has also been accepted and is ready for despatch. 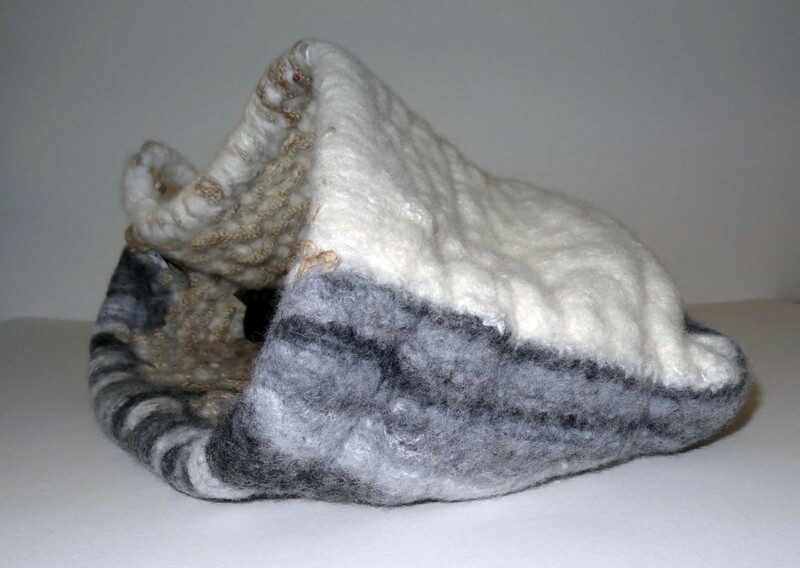 Entries have been completed for the International Felt Association exhibition, The Lincolnshire Artists’ Society winter show at the Ropewalk, Barton on Humber and OPEM3 at The Collection. After a hectic year Moira has settled down to completing work for her solo show in August 2014 at Sam Scorer, Lincoln. 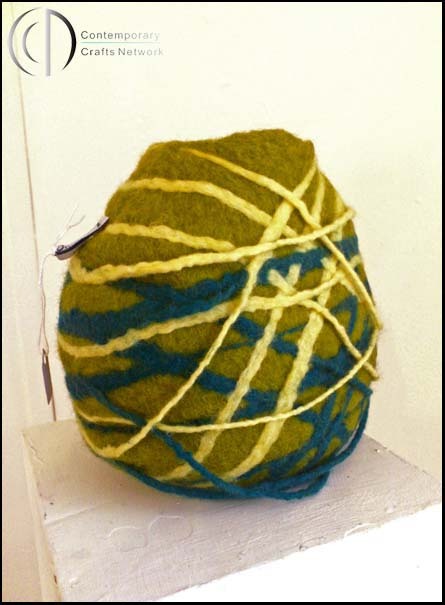 One large hanging (3m x 2.8m) is a challenge and it will be interesting to see the resulting felt. The Contemporary Crafts Network show starts on Tuesday 23rd July with the private view taking place between 2 and 4pm on Saturday 27th. Moira will be in the gallery for the private view and again on 31st between 10am and 1.30pm. Please come along and see this amazing show and have a chat about the work. The LAS preview at the Usher Gallery was a great success with a good turnout and everyone in high spirits some of which was due in part to the beautifully hot sunny weather. 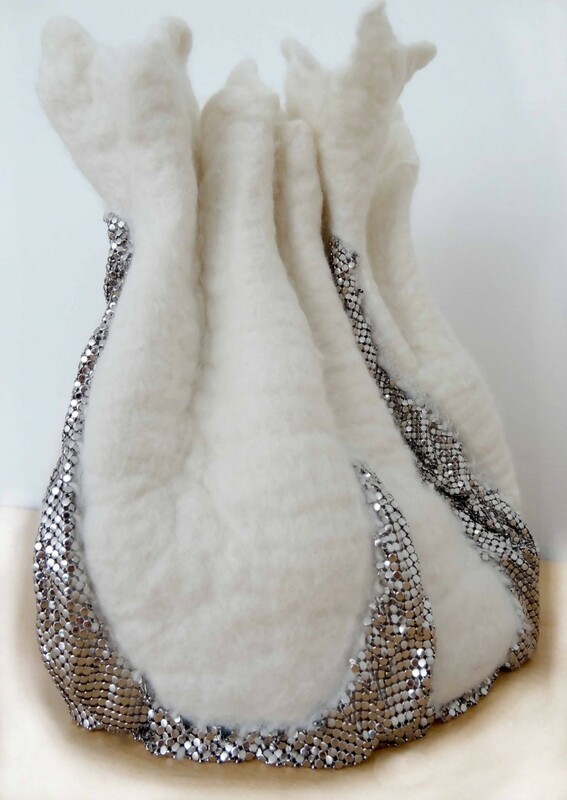 The Sculptural Form submission – ‘Johari’ has been accepted for the Lincolnshire Artists’ Society Summer Show at The Usher Gallery, from 6th July until 1st September. This is a pleasing result at what is a hectic time – 13months to Moira’s next solo show. Moira has been working with artists Linda Westerman and Patricia McMillan on a proposal to exhibit at the Ropewalk, Barton on Humber for several months. They are pleased to announce that their proposal has been accepted and they will be exhibiting in 2015. A complicated 3D piece has been completed for submission to the LAS for their Summer Show at the Usher Gallery, Lincoln. Further work is almost completed for submission to the CCN for their show at the Sam Scorer Gallery, Lincoln. Much time has been spent considering ideas for new work which will be exhibited in a solo show at the Sam Scorer Gallery 5-17 August 2014. Work is now ready for delivery to Harding House for exhibition from 16th March until 20th April. 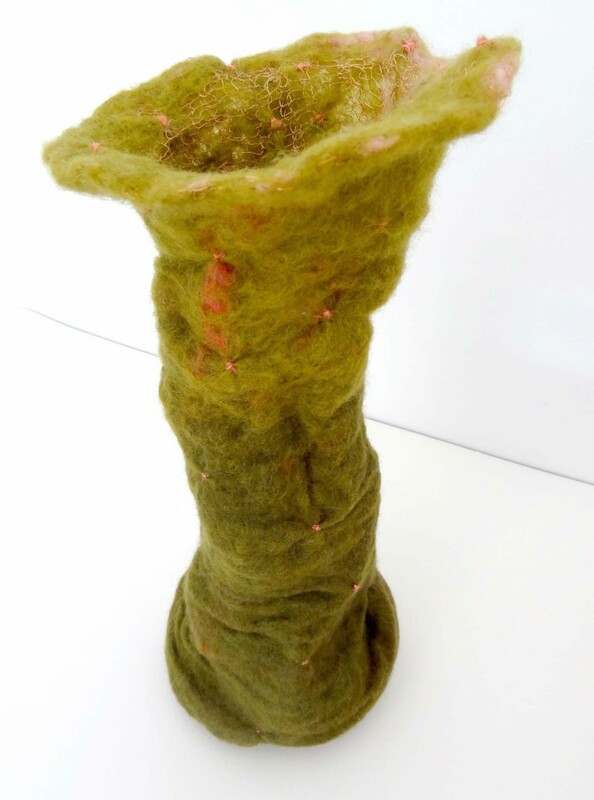 The theme Spring has resulted in work which is influenced by the more unusual aspects of spring such as moss and cacti. Moira is concentrating on sculptural forms and vessel shapes at the moment. Moira is currently researching the latest fabricated metals which she is interested in integrating with fibre. She is also preparing proposals for solo and joint exhibitions in 2015/16. 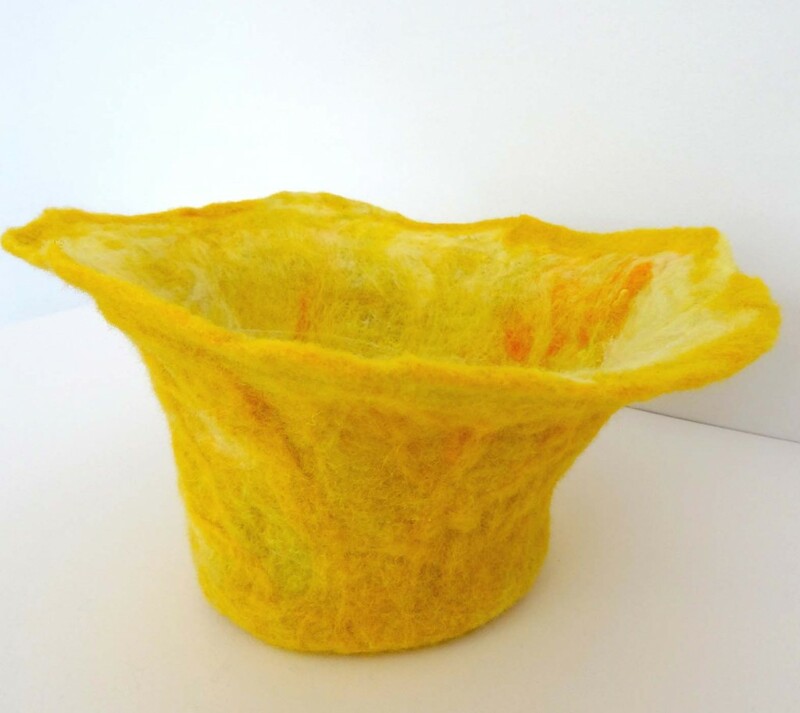 Although new work is currently underway Moira would like to invite fellow artists or students to her workshop who want to investigate or further explore their work with fibre.